THC Global Group Limited (ASX:THC) (OTCMKTS:HDRPF) (FRA:9TH) operates under a 'Farm to Pharma' pharmaceutical model and is currently delivering high quality medicinal cannabis products to Australian patients through existing access schemes. Having secured both a significant growing capacity over two grow sites, and an industry-leading pharmaceuticals biomanufacturing facility with attached testing and product development laboratory, THC Global is in prime position to service both domestic patients and the export market. THC Global's commercial partners operate across four continents, supporting future international growth. In addition to its core medicinal cannabis business, THC Global owns two Canadian companies, being Crystal Mountain Products and Vertical Canna Inc. Crystal Mountain Products operates a revenue generating global hydroponics retailer and distributor of equipment, material, and nutrients to cannabis growers and producers. Vertical Canna Inc is an investment vehicle through which THC Global intends to build, through acquisitions and strategic partnerships, a vertically integrated Canadian cannabis producer and retailer. Vertical Canna's existing asset portfolio includes a land-holding in Nova Scotia, Canada to be developed into a large-scale cannabis production facility. 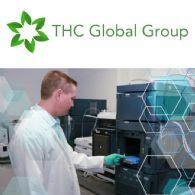 THC Global Group Limited (ASX:THC) (OTCMKTS:HDRPF) advises that it will offer Shareholders the opportunity to apply for up to $15,000 of new Shares under a Share Purchase Plan offer, which will open on Tuesday, 9 April 2019. THC Global Group Limited (ASX:THC) (OTCMKTS:HDRPF) has completed a significant first step in its Asian Markets Strategy in securing a mutually exclusive partnership with Malaysian agri-tech company Heleogenics Sdn Bhd. Your directors present their report, together with the financial statements, on the consolidated entity consisting of THC Global Group Limited (ASX:THC) (OTCMKTS:HDRPF) and the entities it controlled at the end of, or during, the year ended 31 December 2018. 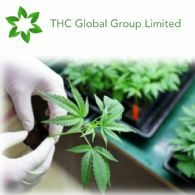 THC Global Group Limited (ASX:THC) (OTCMKTS:HDRPF) advises that its wholly owned subsidiary, Vertical Canna, has completed the acquisition of a Canadian company, 10034622 Canada Inc, which holds the property and is in the process of becoming a Licenced Cultivator of cannabis. The securities of THC Global Group Limited (ASX:THC) (OTCMKTS:HDRPF) will be placed in trading halt at the request of THC, pending it releasing an announcement. THC Global Group Limited (ASX:THC) (OTCMKTS:HDRPF) is pleased to provide an update on the Company&apos;s activities as it transitions into full-scale domestic operations having secured almost all licencing and permitting required for its vertically integrated, Farm to Pharma business model. 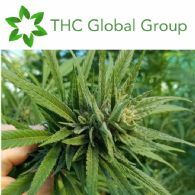 THC Global Group Limited (ASX:THC) (OTCMKTS:HDRPF) advises that the Company has appointed Mark Fortugno as the Group&apos;s new Chief Financial Officer. Mark&apos;s appointment follows Jarrod White advising the Company of his resignation and a subsequent executive search for an experienced CFO with cross-border transactional experience. THC Global Group Limited (ASX:THC) (OTCMKTS:HDRPF) through its wholly owned subsidiary Canndeo Limited has received two Cannabis Permits from the Office of Drug Control allowing the cultivation and production of the Company&apos;s proprietary high CBD strains at its Queensland growing and R&D facility. THC Global Group Limited (ASX:THC) (OTCMKTS:HDRPF) has secured exclusive rights to import Endoca&apos;s CBD products into New Zealand and has established a supply chain to patients through a strategic partnership with DATAPHARM. THC Global Group Limited (ASX:THC) (OTCMKTS:HDRPF) is pleased to advise that the Company&apos;s name has changed to THC Global Group Limited, from The Hydroponics Company Limited. THC Global Group Limited (ASX:THC) (OTCMKTS:HDRPF) advises that its wholly owned subsidiary, Vertical Canna Inc has entered into a binding agreement to conduct due diligence for the acquisition of a Canadian company which is in final stages of becoming a Licenced Producer of Cannabis. 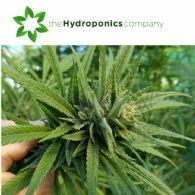 The Hydroponics Company Limited, to be renamed THC Global Group Limited (subject to shareholder approval), (ASX:THC) (OTCMKTS:HDRPF) has commenced supply of Endoca CBD products to its first Australian patients. 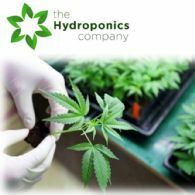 The Hydroponics Company Limited, to be renamed THC Global Group Limited (subject to shareholder approval), (ASX:THC) (OTCMKTS:HDRPF) is pleased to provide an update to the market of its activities for the quarter ended 30 September 2018. The Hydroponics Company Limited (ASX:THC) (OTCMKTS:HDRPF) (to be renamed THC Global Group Limited) provides the following information with respect to its Canadian operations. 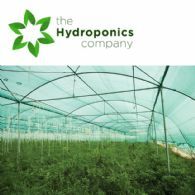 The Hydroponics Company Ltd (ASX:THC) (OTCMKTS:HDRPF) provides the Company&apos;s latest Investor Update Presentation. Your directors present their report, together with the financial statements, on the consolidated entity consisting of The Hydroponics Company Limited (ASX:THC) (OTCMKTS:HDRPF) and the entities it controlled at the end of, or during, the half-year ended 30 June 2018. The Hydroponics Company Limited (ASX:THC) (OTCMKTS:HDRPF), Australia&apos;s leading medicinal cannabis company advises that THC&apos;s wholly owned subsidiary, Canndeo Limited, has released its first medicinal cannabis products, imported from the Company&apos;s European strategic alliance partner, Endoca. 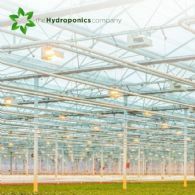 The Hydroponics Company Limited (ASX:THC) (OTCMKTS:HDRPF), Australia&apos;s leading medicinal cannabis company and Biofloral Inc, a Canadian east coast hydroponics company, have chosen to work together to benefit from each other&apos;s IP and distribution networks. The proposed acquisition of BioFloral (ASX- 24 January 2018) is not proceeding. 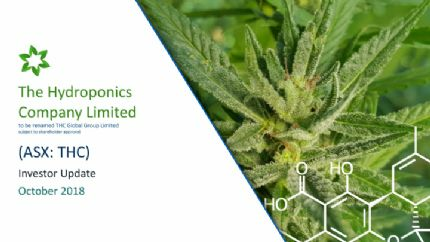 The Hydroponics Company Limited (ASX:THC) (OTCMKTS:HDRPF), Australia&apos;s leading Medicinal Cannabis company provides the enclosed Company Presentation updated to July 2018 in accordance with ASX Listing Rule 3.1. The Hydroponics Company Limited (ASX:THC) (OTCMKTS:HDRPF), Australia&apos;s leading Medicinal Cannabis company advises that the conditions precedent have been met for the lease of a Northern NSW property to be used for the growing of medicinal cannabis strains as a primary source for its own manufacture within its Southport manufacturing facility. The Hydroponics Company Limited (ASX:THC) (OTCMKTS:HDRPF), Australia&apos;s leading Medicinal Cannabis company, provides the following update with respect to a revaluation of the Company&apos;s Southport pharmaceutical manufacturing facility of $14.58 million with an unmatched domestic manufacturing capability. The Hydroponics Company Limited (ASX:THC) (OTCMKTS:HDRPF), Australia&apos;s leading Medicinal Cannabis company, after an extensive executive search, has appointed Ken Charteris as Group Chief Executive Officer, effective 11 July 2018. 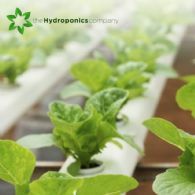 The Hydroponics Company Limited (ASX:THC) (OTCMKTS:HDRPF), Australia&apos;s leading Medicinal Cannabis Company has signed a binding Letter of Intent with Endoca BV. The Hydroponics Company Limited (ASX:THC), Australia&apos;s leading medicinal cannabis company1, provides the following update with respect to the Company&apos;s North American development plans. The Hydroponics Company Limited (ASX:THC) is pleased to advise THC Pharma Pty Ltd, a wholly owned subsidiary of THC, has concluded a Letter of Intent with Ascent Industries Corp.